9 of the Best Solar Deals Perth WA with installed prices (updated 2019). 9 of the Best Solar Deals in Perth WA. YOU WORK HARD FOR YOUR MONEY. Ensure you don’t waste it on an overhyped, underwhelming solar system. Why not shop for solar from a perspective which suits your preferences? Listed below, PSW Tech Support has compiled options for which one should consider a superior solar choice to suit the essential criteria of budget, preferences and expectations. A must view before buying solar. There’s an abundance of choices when selecting the best solar deals to suit your home. Therefore do what any savvy investor would do, harness a wealth of trusted technical experience and narrow down your selection with the assistance of expert insight. Refine your options with definition through the PSW Energy 9 best solar deals Perth WA list. 9 best solar deals by category. The options are plentiful. To select the right system, you shouldn’t feel pressured into something which doesn’t quite suit your preferences. Solar energy is a wonderful technology when done right. More importantly, you’ll reap the benefits for years to come, without buyers remorse, by selecting what is important to you. Acquiring German giant Conergy and now one of the largest BNEF Tier-1 solar panel manufacturers in the world by volume, Astronergy modules present as a German pedigree combined with Chinese affordability. Sungrow are the world’s largest inverter manufacturer by volume next to Huawei. Boasting higher build quality characteristics with performance specifications equal to or greater than alternative leading European inverters ensures sungrow are one of the world’s best inverter technologies. Online only offer. Get your best price fast. What system would you like a quote on? What size system are you interested in? ﻿﻿Perth Solar Warehouse﻿ supply fully installed products only. 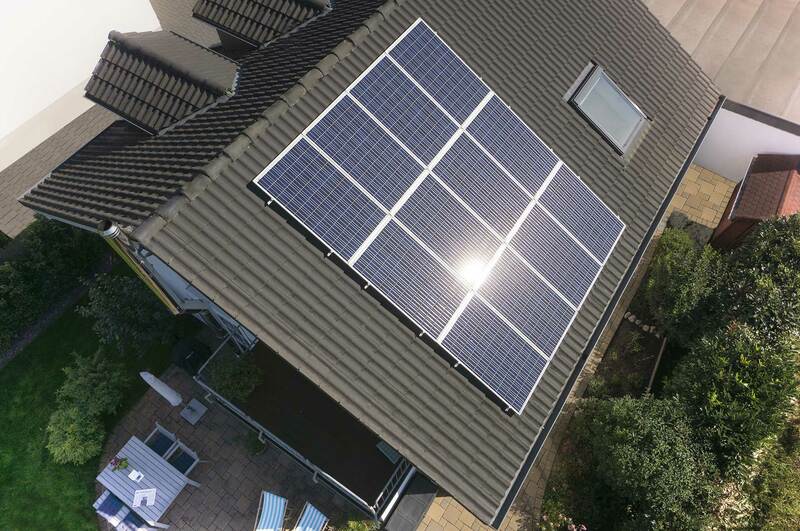 As every installation is unique a PSW﻿ solar expert must review your installation particulars to deliver an accurate quote. Solar Panel: Trina Solar 315W mono PERC. Highly efficient mono PERC solar panels are the next step for those seeking a little more from “just a solar system” and there isn’t much better value than Trina Solar. One of the world’s largest and longest-serving solar panel manufacturers, Trina Solar’s mono PERC solar panel range boasts excellent affordability for a high spec module design including an outstanding hail resistance rating of up to 35mm hailstones. Inverter: Huawei 3kW-5kW (single-phase only). Huawei has produced a revolutionary hybrid (multimode) solar inverter technology at a remarkably affordable price given its specifications. Saving an approximate cost of about $1500 to an end user wanting to integrate the world-class LG Chem RESUH solar battery in the future. Solar Panel: REC TwinPeak 2 Series multi PERC. Recently accompanied with a 25-year manufacturers product warranty when installed only through a certified installer, REC are without a doubt one of the best value solar panels available with excellent performance in the hottest environments. The world’s longest serving inverter manufacturer combines admirable German refinement and industry leading technology in one versatile package. Renowned for decades as a trusted choice the SMA inverter range is beyond exceptional. Q Cells present outstanding solar panel technology capable of performing well in normal and low light conditions. If limited on space, the Q Cells 325W Q.Peak Duo G5 presents good value for a higher efficiency German engineered module. Coupled with an above average 12-year product warranty one can be assured a solar panel built better than most. Ready to adapt to the next wave of energy management as the new requirement for any self-generated power supply. More than just a solar inverter the SMA inverter range will be equiped with the industry leading ennexOS energy management software as standard from 2019. Get ready to discover next-level. Solar Panel: SolarWatt 300W glass-glass. Made in Germany, SolarWatt solar modules are equipped with an industry leading 30-year product & performance warranty. Durable glass-glass construction also ensures greater integrity of the solar cells over time, above all other solar panels. If you live in an area subject to severe environmental stressors, considering anything less than SolarWatt shouldn’t be an option. SolarEdge provides world-class inverter technology with refined module-level optimisation as standard. Maximum yields, extreme electrical safety and greater asset management potential are achieved through module-level optimisation. The industry leading 12-year warranty sets SolarEdge apart from all other central inverter technologies. Difficult installations often pose limited available roof space. Therefore the best panel to harvest more available sunlight from a nominated area is the LG 330W NeON 2, a well-sized companion for the new generation Enphase IQ7. Inverter: Enphase IQ7 Micro Inverters. Why are Enphase microinverters better for difficult installations? Better adaptability, functionality, and output from an area of difficult access or variable roof orientations. Such versatility and modular function enable energy users requiring a highly customisable energy supply to achieve maximum yields. Using a preferred N-type monocrystalline split cell design, the new-release REC N-peak produces greater yields than what the nameplate value would suggest when compared to alternative 315W solar panels due to excellent low light performance. Now with a 25-year warranty the REC N-Peak is hard to look past. Minimalist design, industry leading specifications and features ensure this new-release inverter goes beyond consumer expectation of what an inverter should do. In this scenario, the solar panel choice will often have a very little impact over a 3-phase power output. The choice comes down to your individual preferences of return on investment, style, technology, warranty, manufacturer assurance and more. Depending on one’s choice, the greatest variance in pricing options exist. Inverter: SMA Sunny Tripower 3kW-5kW. Made in Germany and equipped with a 10-year product warranty the new SMA Sunny Tripower redefines 3-phase expectation. As one of the most versatile options for a three-phase power supply, it’s hard to consider any other inverter technology. Pairing a reliable and more affordable solar panel technology such as the Astronergy 275W multi-crystalline ensures a battery system with a realistic return on investment unlike ever before plus the possibility of the ultimate goal, no more electricity bills. Beautiful simplicity presents the greatest value. From a pure energy saving perspective, the Huawei SUN2000L ensures the minimised outlay required to accommodate a superior and trusted solar battery technology without the need for additional battery inverters or additional clunky equipment. Renowned as one of the best solar batteries available for value, safety and performance. Integrating an LG Chem RESU solar battery as part of your energy solution will ensure the reliable energy savings you require when the sun isn’t shining. When selecting the best solar deals, it’s important to remember that energy saving success exists beyond product alone. Accurate implementation, ongoing support and warranty from technically trusted, local experts ensure the energy savings one is investing in over time. Greater benefits with Perth Solar Warehouse. Value in the short, medium and long-term is guaranteed. SHORT-TERM. Better implementation ensures better value solar with greater guaranteed power production and performance. MEDIUM-TERM. Ongoing expert support and feedback for continual energy-saving success with PSW Life Support. LONG-TERM. Up to 3 x more power output guaranteed through selected solar panel technology. Essentially the most comprehensive warranty and support available to ensure your energy saving success. With a proven history of guaranteed customer satisfaction, why wouldn’t you select solar by local, established technical experts? ESSENTIAL INFORMATION. The best solar deals are far beyond the term Tier-1. Understand that Tier-1 is not a measure of quality & performance. It is a loose term, endorsed by no regulatory authority with minimal substance, marketed in order to acquire a perceived quality stature.